Turkish and Greek anti-narcotics forces seized 'large amounts' of opiate drugs in Greece's Piraeus port in capital Athens. Turkish and Greek anti-narcotics forces seized 'large amounts' of opiate drugs in Greece's Piraeus port in capital Athens, according to security sources on Monday. 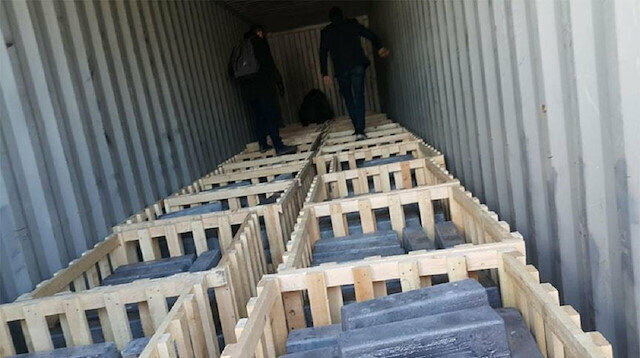 The sources, who spoke on condition of anonymity, said Turkish anti-narcotics police received a tip off about the existence of a "large amount" of opiate drugs in a container coming from Syria in Piraeus port. A special team was sent to Greece to share the intelligence report with Greek police. In a joint operation, Turkish and Greek police searched a container at the port and seized opiate drugs. The operation is ongoing and police is on the lookout for more suspects, the sources added.